Sakura GELLY ROLL GLAZE 10 Pen Set Gellyroll Gel Pens 38370 at Simon Says STAMP! 38370 /4.2 This item is on reserve until If you would like to reserve this item now, you may purchase it now with the rest of your order. We will hold your order now and ship your entire order as soon as this item is back into stock. If you would like your order to ship now, please place this item on a separate order. Success, Sakura GELLY ROLL GLAZE 10 Pen Set Gellyroll Gel Pens 38370 has been shared! Welcome to the Writing You Can Feel revolution! Sakura, the inventor of gel ink, announces the newest craft tool, Glaze, the first pen of its kind offering raised lines and glossy lettering. Embossed lettering used to require heat, powders or professional printing, but now it's available at your fingertips. It's so simple... just slowly write your design or words and let dry. Sticker accents, glass vases----you can now add 3-D impact to almost any, plastic, ceramic and metal surface. Most inks slide and run off smooth surfaces, Glaze clings to most non-porous materials. Wedding invitations, gift cards, handmade stationery, altered books --- besides providing tactile sensation, Glaze's texture gives your projects emotional depth as well. True writing you can feel! Basic nine colors are: gloss orange, gloss pink, gloss purple, gloss blue, gloss yellow, gloss red, gloss rose, gloss green, and gloss black With Glaze, every line you write will make a tactile impression. 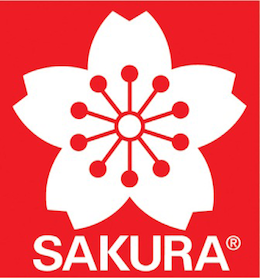 Sakura has also developed a "clear gloss" so you can bring depth, texture and dimension to any pre-printed materials. Be sure you own all Sakura Gelly Roll colors.